Here is a short, but controversial post for you. 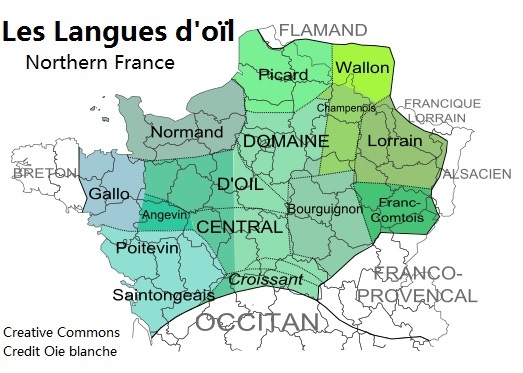 There are more than twice the number of Ontarois as there are Acadians (note: Ontarois(e) is the new name which people use more and more to describe Franco-Ontarians). But strangely enough, outside Ontario, they do not garner nearly the same amount of attention as Acadians. have a Francophone history just as long as Québec’s and Acadia’s (Samuel de Champlain also founded Ontario, just like Québec. He lived in Southern Ontario for over one to two years in 1615. His home was just North of present-day Toronto, in what is now Midland in Cottage Country. I guess he liked his cottage at the lake too! Even today, if you drive 90 minutes North of Toronto to the towns of Penetanguishene and Tiny-municipality – where he established the first European settlement in Ontario — you’ll see and hear wall-to-wall French with an Ontarian accent). live in a province where some areas are over 85% to 90% Francophone (even more Francophone than numerous areas of Québec). shares a province with an an Anglophone community, of which large numbers are able to speak both French and English, and thus lends much moral support and understanding for their Francophone communities (I placed the bilingual numbers on the above map). Heck, when Toronto’s mayor, John Tory, recently won the mayoral election, the first words of his live televised victory speech were in French, not English. There are more Francophones in Ontario than there are Anglophones in Québec (yet people always talk about the Anglophones in Québec, but hardly ever about the Francophones in Ontario). Considering all of the above, I remain completely baffled as to why only Québecois and Acadians get the bulk of the attention when people outside these regions or outside Canada think about, talk of, or write about French in Canada or of Francophone Canada. 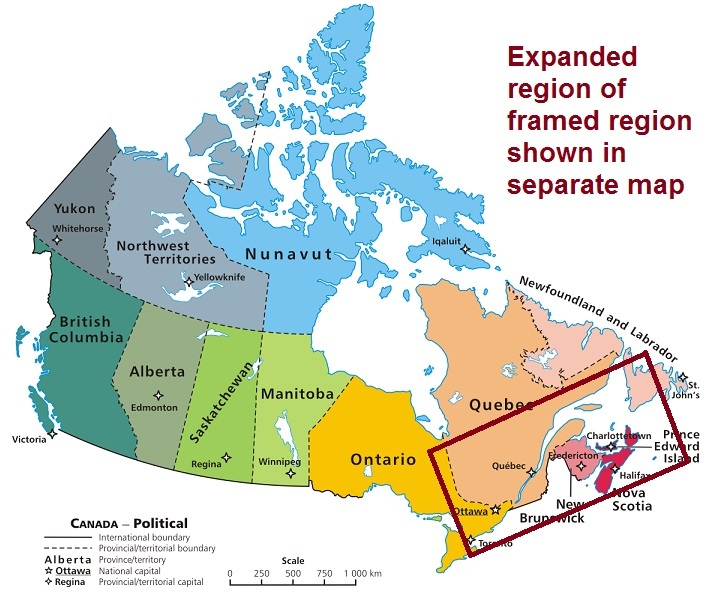 It looks like a case of the Two Solitudes on many, many different levels (Francophone-to-Francophone, Region-to-Region, Québec-to-Ontario, Country-to-Country, Anglophone-to-Francophone, and on and on). I have some (rather complex) pet theories why this may be the case, but I’ll leave them for another post (check in a couple of posts from now… I have a stab at jotting my thoughts on the issue in a separate post). I can give you an excellent example of what I regularly see. Yesterday a private foreign company published a post on their blog pertaining to French in Canada (I won’t mention who they are, so as not to single them out). 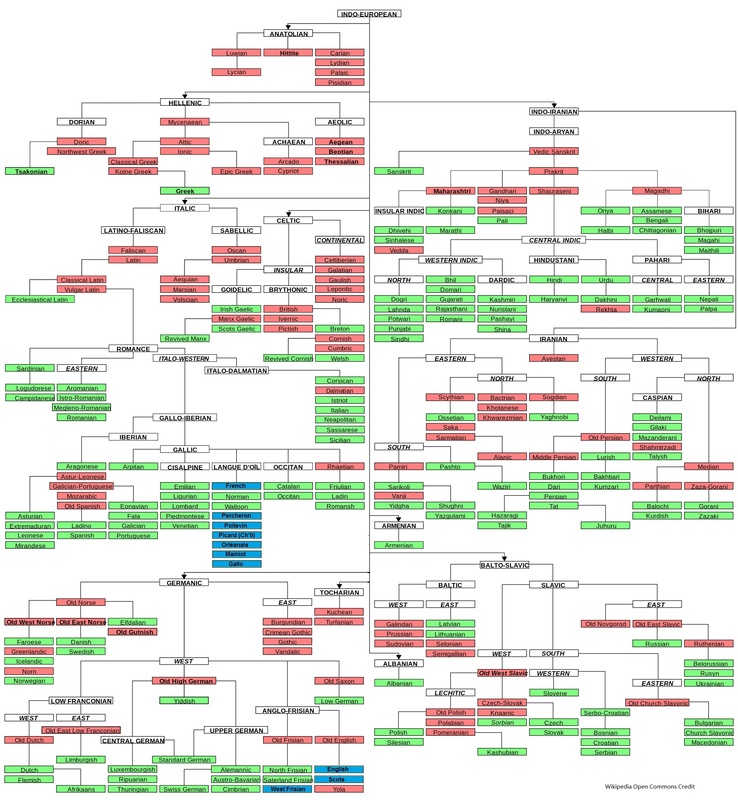 Frankly speaking, from a historic and language-explanation perspective, it was one of the best “short” descriptions I have ever seen (better than any Wikipedia article). I was more than impressed. 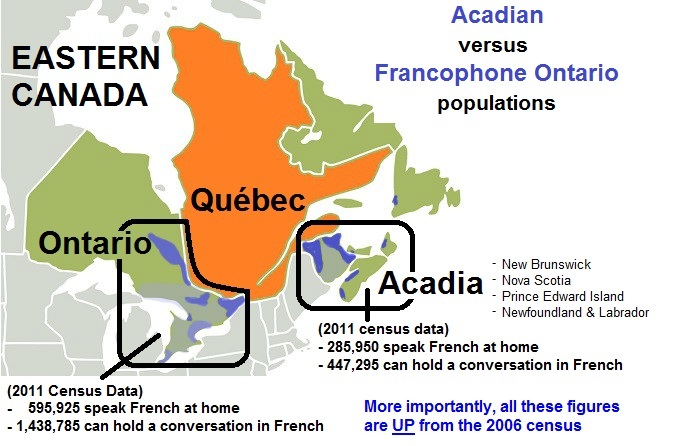 Yet, even though they said French in Canada has many dialects and is found across the country, they mentioned the most important and main French speaking areas in Canada are Québec and Acadia. There was just one problem with this article (which was supposed to discuss Canadian French), there was zero mention of Ontario — one of the largest components in Canada’s overall French and Francophone realities. It’s just not the above article either… In fact this happens over and over again all over the board when people write and talk about French in Canada. I find this chronic omission of anything Ontarois-related to be endemic and representative of many articles, blog posts, and general media coverage. Even I was guilty of falling into this trap in my younger years. Ontario is scarcely ever mentioned, whereas Acadia gets the lions share of the attention – either abroad or elsewhere at home. Although I consider my own personal background more tied to Franco-Albertan, Franco–Prairien and Pan-Franco-Canadian culture than what I consider it tied to Ontarois (or Franco-Ontarien) culture, the longer I live in Ontario, and the longer I see and hear Ontarois in my everyday life, the more perplexed I become by this question. On top of it all, I happen to live in one of the least Francophone regions of Toronto, yet I hear French in my neighbourhood more often than you’d think. 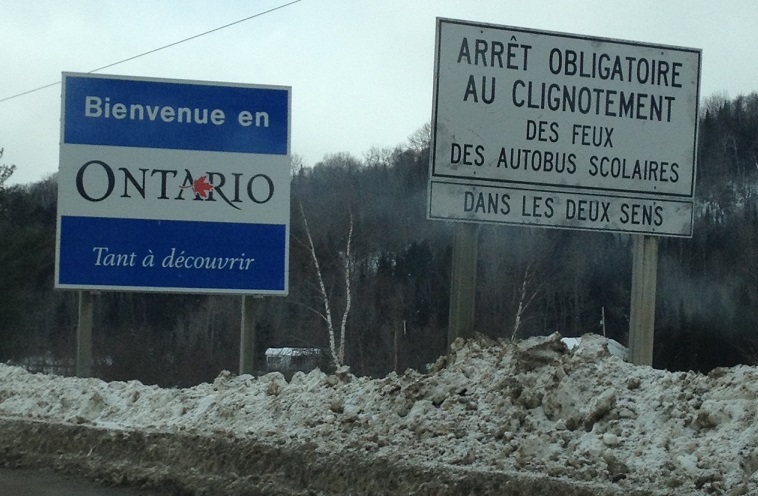 This lack of awareness of Francophone Ontario’s existence (versus an extravagantly large amount of attention accorded to a much “smaller” Acadia) is a real head-scratcher. One would think Ontario would find itself on near-equal footing with Acadia, in terms of attention from elsewhere in Canada or abroad (Don’t misunderstand what I’m saying… Acadia is certainly unique in many important ways, and does deserve every bit of attention it gets… But one would also think that Ontarois culture and Francophone Ontario should be right up there too). Am I missing something here?? It sure makes you think, doesn’t it? What are your thoughts? 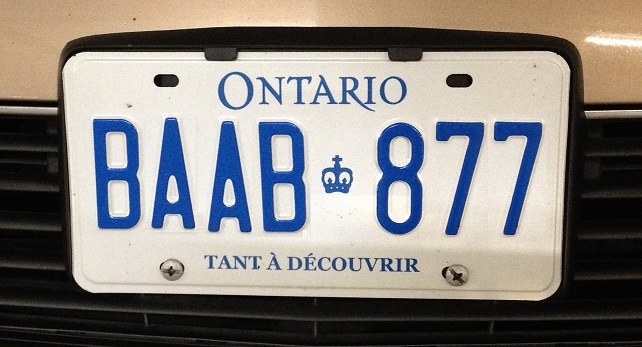 “Tant à Découvrir”: The Ontario Government’s French Licence Plates issued to the public… Seen on vehicles across Ontario. If you keep your eyes open for them, you’ll spot them around Toronto, and the North & East of Ontario. “Tant à découvrir”… Funny how the logo plays right into this theme. Ironic isn’t it?